This season is full of cute and interesting trends – from dress styles and decorations, to themes in catering and venues.Here are my thoughts about which trends to embrace, and which will be short-lived. Love it:Lace, lace, lace. 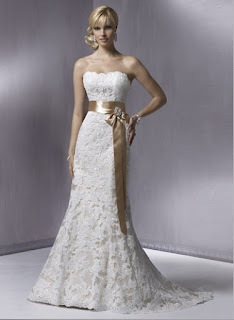 Love, love, love!Lace is timeless, elegant, and absolutely stunning.A bride who wears a lace gown can look back at her pictures 20, 30, 70 years from now and her gown will still be in style.Lace is feminine, flirty, sophisticated, and sure to amaze every guest from the conservative grandma to the trendy sorority sister.Everyone looks amazing in lace! Ceviche is a Peruvian-inspired cuisine in which fresh meat or seafood is marinated in a citrus mixture. 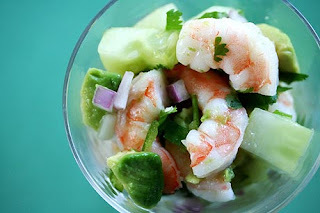 Recipes for ceviche typically call for raw meat or seafood, and the citrus content of the sauce functions to denature the proteins in the meat, thus creating an effect as if the meat were cooked. With fresh shrimp being difficult to find in the land-locked desert that is New Mexico, this particular recipe uses frozen shrimp. Needless to say, Mardi Gras this year was a little calmer.I wore a few strands of purple and gold beads to work, ate some King Cake, and tuned into Fats Domino radio on Pandora.It was quite wonderful.And no one got arrested for public intoxication or indecent exposure. Here's the King Cake that my sister baked and mailed all the way from Boston! January sure flew by!It was a busy month and I worked a lot of weekends (in fact I think I only had 5 days off all month), which didn’t leave a lot of time for enjoying the outdoors.I did manage squeeze in a few familiar hikes, though – Picacho Peak, Borrego Bear Wallows, and the Windsor Trail, to name a few. Last weekend I finally made it up to the Ski Basin for the first time this season!After growing up skiing in the Midwest, I am still blown away but the beauty of the ski mountains here.The snow wasn’t fabulous and there wasn’t really fresh powder by the time I got up there, but 90% of the trails were open and it was a beautiful day to be on the slopes. I always have some anxiety to put on my skis for the first time of the season.What if I forget how to turn?What if I fall?What if I’m not in shape for this?But as always, my muscles remembered what to do after a few practice runs, and we had a fun day.